David Esquire Was Interviewed By Pictage! Good Afternoon Everyone! We have Exceptionally Fantastical Incredibly Uber-Great Superb News! 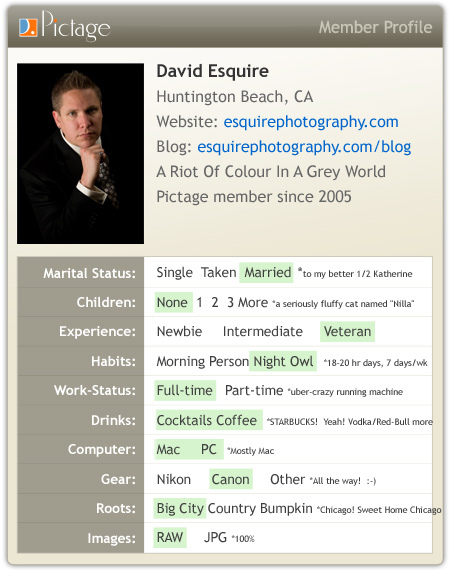 Our resident photographer & owner of Esquire Photography was interviewed by Pictage! Click on the picture below & you can read the entire article! Have a fantastic Friday – cheers!